The Pitfall: Okay, so I didn’t actually join the Clean Plate Club. My mom drafted me into it when I was a small child. My mistake was never questioning whether that membership had any benefits as an adult. Clean Plate Club membership requires that you eat everything on your plate, whether you are still hungry or not. My mom told me I was wasting food if I didn’t eat everything. Sometimes, she told me there were starving children who would be happy to have the food I wasn’t eating. So I ate the food to help those poor children. As an adult, I was well-trained to finish everything on my plate. Sometimes I piled the food so high on my plate until you couldn’t see the bottom of it. Even though my stomach might ache with the amount of food I put into it, I still felt compelled to finish all of it until the plate was empty. I didn’t feel right if any food was left over. 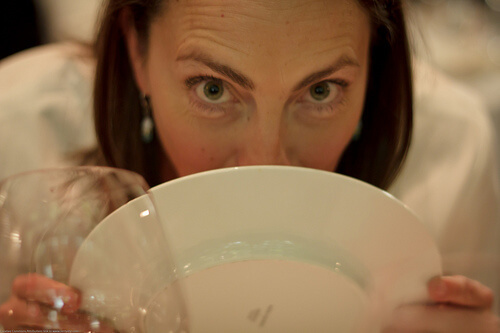 The Way Out: I discovered that many people are members of the Clean Plate Club like me. Logically, we know that overfeeding ourselves is not going to help poor children in a foreign country. However, the emotional aspect of wanting to please someone else sometimes overrules logic! The Change: I decided to keep my membership in the Clean Plate Club, but I stayed a member on my own terms. I made sure that I used a bowl or plate size that would allow me to still clean the plate, but not overfill my stomach. So that meant using smaller plates and bowls. For the drunkard and the glutton will come to poverty, And drowsiness will clothe a man with rags. When I ate out in restaurants, I discovered that they often serve you enough food for 2 or 3 servings! So I asked for a To-Go box upfront and put half of the food into the box to eat later when I was hungry or eat for lunch the next day. One mistake I made at the beginning was telling myself I was going to just eat half and get the To-Go box later. That doesn’t work for me because even when I tell myself I’m done, I will find myself “nibbling” at the food simply because some is still there on the plate! What works for me is “out of sight, out of mind.” Get the excess food out of the way and then I can focus on enjoying the remaining food on the plate. In this way, I can feel good when I leave the table – comfortable but not stuffed. In this way, we both could win! So I started contributing to a hunger relief organization. That’s a win/win situation all around.